It’s that time of year again. Every other week you see new pictures of a celebrity hugging a statuette thanking their “team.” If you’re like me, you probably don’t care about their speeches, but you do want to see what they’re wearing, and there’s only a 10% chance you’ve seen the movies they won for. I faithfully watch the Academy Awards every year (yes, even last year when Seth McFarlane hosted), although sometimes I wonder why. I don’t care about cinematography, documentaries, short films, or whoever they’re giving the honorary Oscar to, and on average I’ve usually only seen about two of the best picture nominees. I think most of the time the prize goes to films Hollywood thinks are good for us, whether or not we actually like them. So, I’ve decided to do a series of awards here, with categories I think would be interesting to a broader range of people, and nominate movies, TV shows, and books I think were flat out entertaining. I don’t care if they were high art. Sometimes the nominees were very well done, but other times they were just plain fun. Granted, it’s limited to what I watched or read in 2013, but I do consume a lot of media. First up—Movies! I like what the Golden Globes does separating comedies and dramas, so I’ll follow their lead. However, I’m going to nominate real comedies, not dramas with a few funny lines. I nominate as many films as I think deserved it in each category. Mud: Had to catch this one on DVD as it wasn’t widely released, but it was worth it. The kids in this film are incredible and make way better decisions than any of the adults. Gravity: I’m cheap, but I shelled out the cash to see this in 3D IMAX and it was worth every penny. American Hustle: Another great film by David O. Russell, but I don’t agree with some that say it was better than Silver Linings Playbook. Best supporting acting award should go to Amy Adams’ double stick tape. Saving Mr. Banks: Did I know they were playing my heartstrings as they were doing it? Absolutely. Did I love this movie and cry anyway? Of course. Winner: Gravity. Not only was this movie visually stunning and suspenseful, but it also packed an emotional punch. It was the whole package. Best Comedy: A special award should go to Steve Carell, who starred in three of my five nominees. The Heat: Melissa McCarthy and Sandra Bullock together was enough to have me gasping for air in this cop buddy comedy. Anchorman 2: There was so much stuffed into this sequel, I think I need to see it again to catch all of the jokes. Those Dodge Durango commercials were a nice bonus, too. Despicable Me 2: I suppose the kids find the minions funny, but really all of the jokes are for the adults. The Way, Way Back: This is more of a dramedy, so I wasn’t sure which category to put it in, but I laughed so much and they had so many great comedic actors in it, I put it here. Another one that wasn’t widely released, but well worth the DVD rental. Sam Rockwell shines in one of his few non-villain roles. Much Ado About Nothing: Shakespeare in this category? Joss Whedon’s black and white update was so funny I actually rewound parts of the DVD so I could watch them again. Winner: The Way, Way Back. Normally I’d give this to the movie that packed the most laughs per minute of run time, because I really admire that. If I got to a comedy, I want to laugh, not be mildly amused. However, I did laugh a good amount and this was just one of the best movies I’ve seen in a long time. The Academy was nuts not nominating it for best picture. Comedy snobs. Best Action Flick: I made this a category because other than for sound or sound mixing, these never get nominated for anything, and they bring me some of the most joy all year. Iron Man 3: The franchise bravely decided to tell a new story instead of repeating the same formula and for the first time showed a vulnerable Tony Stark. Star Trek Into Darkness: Even better than the first outing, with scenes that made you bust a gut one minute and gasp at the alien worlds the next. Benedict Cumberbatch was outstanding as Khan. Now You See Me: Not very many people I know saw this one, but I really enjoyed it. We ended up seeing it both in theaters and then renting it again to urge friends to see it. It had a great cast led by Jesse Eisenberg. Man of Steel: Audiences and critics seem to be split on the Superman reboot, but I loved it. They didn’t tread the same ground as before (growing up in Kansas, the Daily Planet), but instead focused on his alien roots and his isolation as an adult. Also, Amy Adams played the first Lois Lane I’ve ever liked. World War Z: I didn’t have high expectations for this since it had a lot of trouble in production. In the end, they pulled it off. It was crazy suspenseful and highly entertaining. Winner: This was really difficult to call, but I think I’m going to have to go with Star Trek Into Darkness over Iron Man 3. Robert Downey, Jr. is always amazing, but Star Trek was an ensemble effort, so I’m going to give it to them. Best Costumes/Production Design: I’m a girl, so I will watch a movie sometimes just because it looks pretty. Granted, that usually means a rental, but I feel like these were worth the $1.20 at Redbox to ooh and ahh at the spectacle. 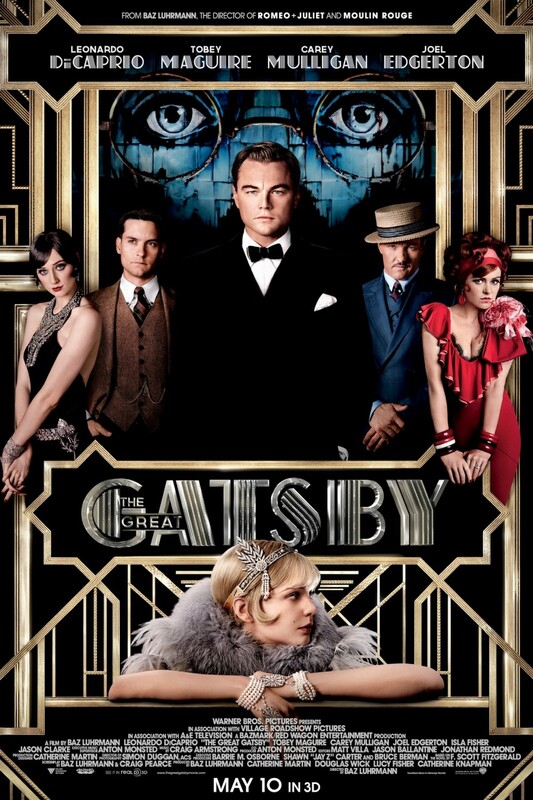 The Great Gatsby: The story is a real downer, but boy is this movie gorgeous. The gowns, flowers, houses, cars, jewelry—everything is over the top amazing. 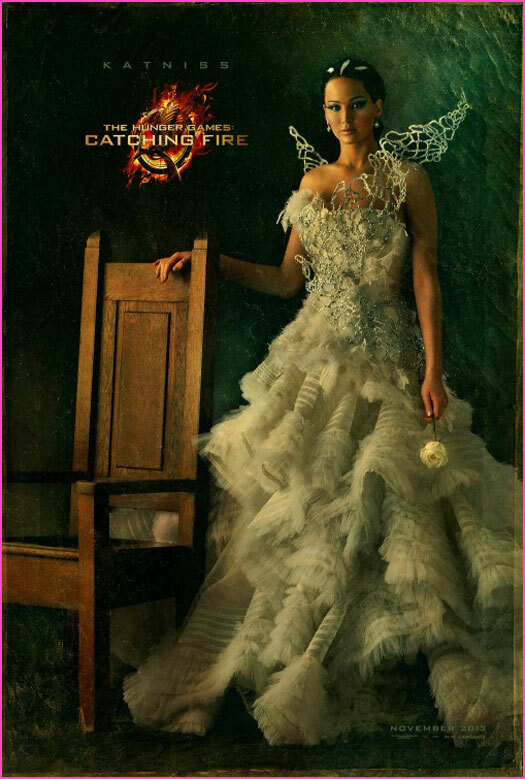 The Hunger Games: Catching Fire: I haven’t actually seen this one yet (waiting for the rental), but I have seen the pictures. I’m not a big fan of kid on kid killing, but I do love those crazy costumes. Winner: The Great Gatsby. I know I haven’t seen Hunger Games, but I don’t see how it’s going to top the eye candy of Gatsby. 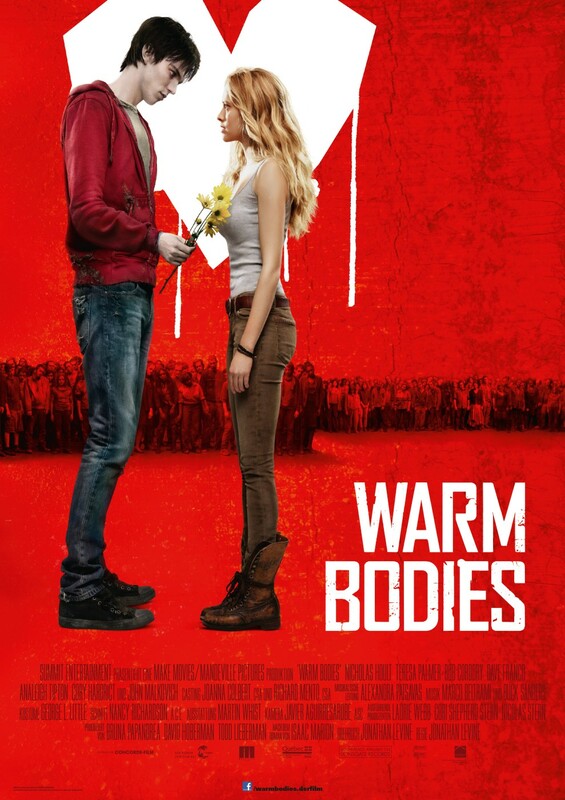 Warm Bodies: My husband really wanted to see this young adult zombie movie, and I have to say, it was heartfelt and funny. Searching for Sonny: An indie that actually came out in 2011, but it’s a safe bet you’ve never heard of it. It stars alums from Veronica Mars, Friday Night Lights, and Heroes, which is why our group was interested in giving it a try. Because it didn’t have a big budget, they actually had to focus on an interesting story. What a novel idea! Now You See Me, Much Ado About Nothing, Mud, World War Z, and The Way, Way Back could probably all also be contenders in this category, but as I have already put them in other categories, I won’t put them in contention again. Winner: Warm Bodies. The message of this film might have been a bit corny, but I still appreciated it. Movie That Didn’t Live Up to the Hype: So clearly this is more of a Razzie than an award, but I wanted you to be fairly warned about a few films I wish I hadn’t watched this year. The Internship: Vince Vaughn and Owen Wilson together again for the first time since Wedding Crashers should have been epic. It wasn’t awful, but it just wasn’t funny, either. This Is the End: We were hesitant to go see this. Rogen, Franco, Hill, and company can be hilarious, but sometimes they just descend into middle school crassness that isn’t even funny. The critics loved it, so we rented it. It was funny for twenty minutes, and then it just got horrible. The Lone Ranger: This looked so good, and I like both Johnny Depp and Armie Hammer. I really, really gave it the old college try. The story just wasn’t interesting, and it was way too long. R.I.P.D. : I could kind of tell from the previews this wasn’t going to be great, but the husband really wanted to see it, so we rented it. It was Men in Black if MIB wasn’t funny and you didn’t care about either of the main characters. They took an interesting premise and Ryan Reynolds and still managed to bore me. Pacific Rim: This was another one that had a lot of potential. I liked a lot of the ideas in this movie, but the execution of them made me simultaneously roll my eyes and put me to sleep. The large scale destruction of EVERYTHING went beyond comical and into sickening. Winner, er Loser? This Is the End. All of these movies were pretty meh, but I wanted the hours of my life back with this one, and a full refund of my $1.20.